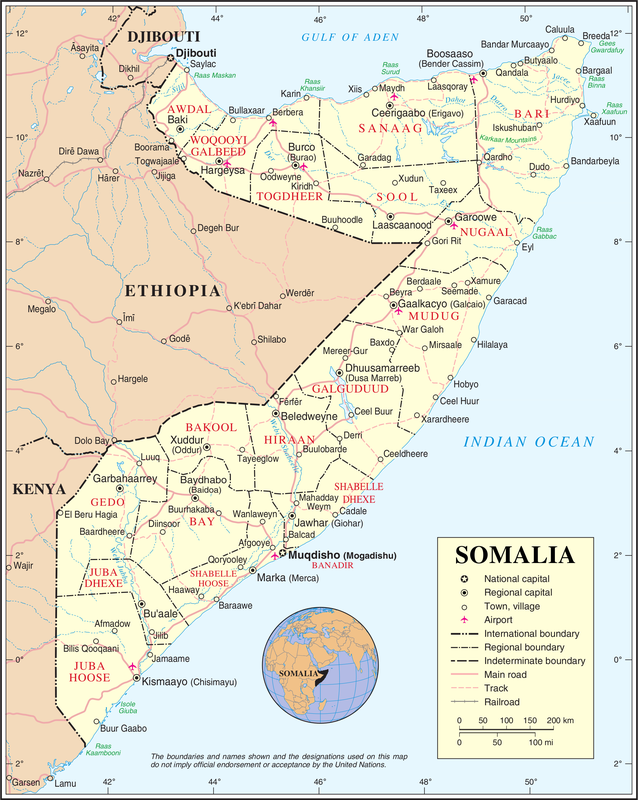 Clan disputes, protests, the weakness of the national forces, the gradual withdrawal of the African Union Mission in Somalia (AMISOM), Islamic State (IS) and continuing Al Shabaab attacks cause insecurity and instability across Somalia. ?3.6 million people are estimated in need of protection. ?The insecurity, along with displacement and limited WASH interventions, have complicated the health crisis. ?Essential primary healthcare is largely unavailable. ?Around 5.5 million people are in need of health assistance.? 4.6 million people are in need of humanitarian assistance in Somalia, including 2.6 million displaced by conflict, insecurity, forced evictions, droughts, and floods. ?From February to May 2019, 1.5 million people are expected to face IPC Phase 3 (Crisis) and IPC Phase 4 (Emergency) levels of food insecurity. ?294,000 children under the age of five suffer from moderate acute malnutrition (MAM) and 55,000 from severe acute malnutrition (SAM).? Humanitarian access: Access remains extremely limited due to violence towards humanitarian actors, insecurity, presence of mines and explosive remnants of war (ERW), illegal checkpoints, bureaucratic impediments, under-developed infrastructure and natural hazards. 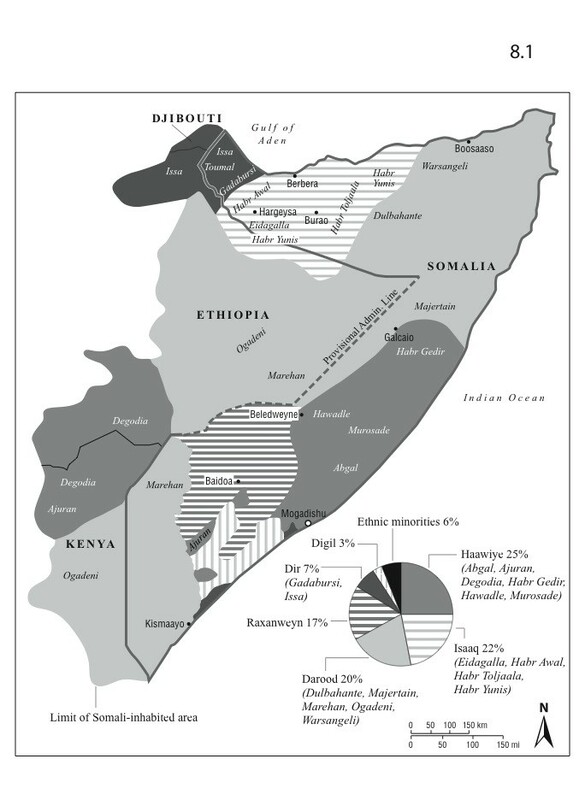 Access by humanitarian actors to people in need, and the ability of people in need to access assistance and basic services, are severely constrained in most parts of southern and central Somalia and some parts of the north.? INFORM measures Somalia's risk of humanitarian crisis and disaster to be very high, at 9.1/10, the highest of any country. Vulnerability is measured at 9.4/10.? 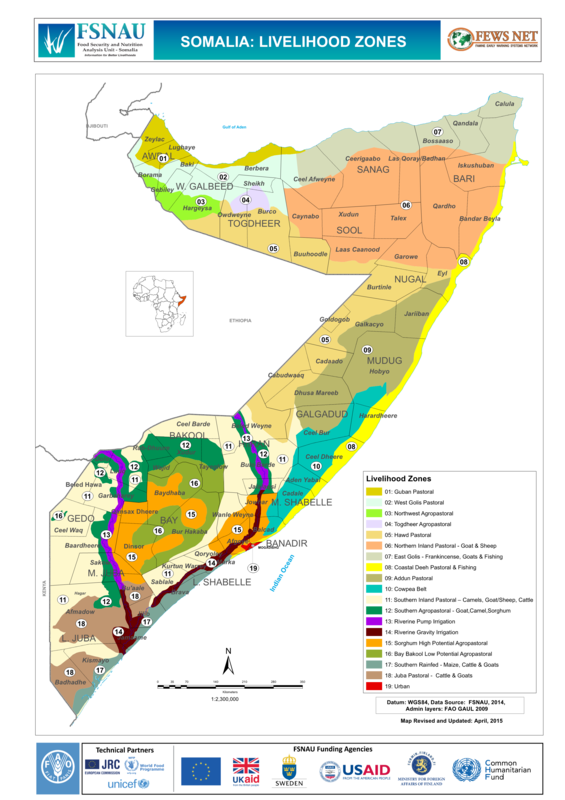 19/03: Clashes between pastoralist clan militias over pasture and water rights killed at least 40 and injured 17, mostly civilians, in Adale district in Middle Shabelle region, southern Somalia on March 17. The clashes were part of a cycle of violence between the two groups. Such events could increase in frequency as drought conditions further reduce pasture and water availability. SNAF have been sent to the region to quell the fighting.? 14/03: At least eight people have been killed and 50 injured after four IEDs were detonated on Wednesday 13 at a livestock market in a village in southwestern Somalia's Bay region. The injured have been transported to hospitals in Baidoa city for treatment. Al Shabaab has claimed responsibility.? 01/03: Two suicide car bombs exploded in Mogadishu on Thursday evening, killing at least 29 people and injuring 80. Local hospitals are reported to be struggling to cope with the causalities. Heavy gunfire was heard across the Somali capital through Thursday night and Friday morning. Casualties could rise as Somali soldiers and Al Shabaab fighters continue to exchange fire. Al-Shabab has claimed responsibility for the attack.? Food security: 4.6 million people are food insecure across the country. WASH: infrastructure requires maintenance, particularly in displacement settlements and areas affected by drought. 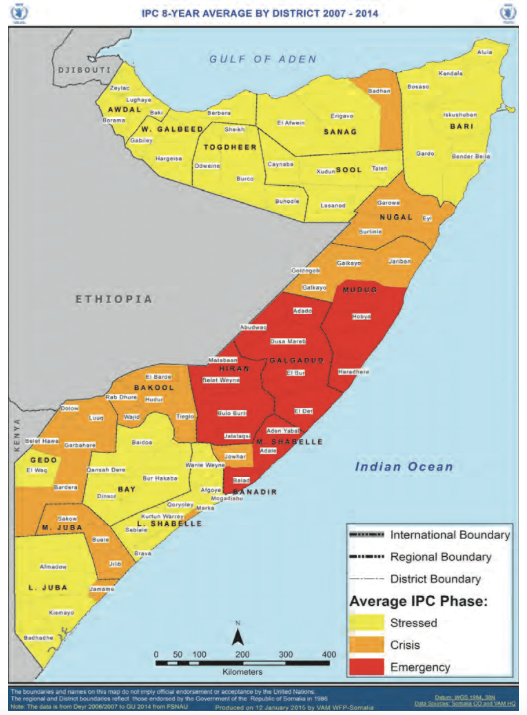 Humanitarian access: restrictions continue to affect aid delivery in south-central Somalia. Lack of regular gender-sensitive needs assessments for sectors other than food security and nutrition. No systematic explosive hazard survey has ever been conducted.